A joint statement by two police forces revealed officers did order the closure of the gates at Brighton Station following dangerous overcrowding after Pride. The chaos at Brighton Station came after Britney's headline performance at Brighton Pride on Saturday (August 8), which saw thousands of revellers head to the station after 11pm. Although many did make it home, some people ended their evening sleeping on the beach after the chaos, and Brighton and Hove City Council opened a refuge at the Brighton Centre – although only nine people used it. A decision was made to close the gates at 11.40pm, but until today (August 8), no organisation admitted to making that decision. On Monday (August 6), Sussex Police said: "The Sussex Police command team for the operation did not request that the gates at the station be shut." 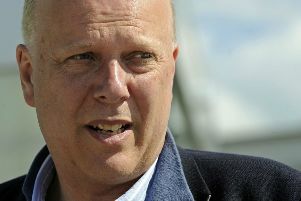 Now the two police forces admitted the decision to close the gates was made by a Sussex Police officer, and that 'this decision was necessary in order to prevent further harm coming to passengers and staff within the station'. It added that the decision would be scrutinised. But in a joint statement today (August 8), British Transport Police Assistant Chief Constable Charlie Doyle, and Sussex Police Assistant Chief Constable Steve Barry, said: "Saturday saw thousands of people descend on Brighton as part of the Pride celebrations in the city. "Following the celebrations and the event at Preston Park, an exceptionally high volume of people arrived at Brighton railway station to make their return journeys. Due to a number of factors, the number of people who came to the station at once were unprecedented. "It was evident that the queuing system at the station was unable to cope with the number of people, resulting in potentially dangerous overcrowding on the concourse and platforms. This was compounded by the availability of trains at the relevant time. "Just after 11pm, a British Transport Police officer asked a Sussex Police officer to go to the front of the station to make an assessment on the number of people arriving. A decision was quickly made by the Sussex Police officer to close the gates, and with the support of station staff, the station was temporarily closed. "This decision was made on safety grounds to allow the safe departure of passengers on trains. Staggered entry was then managed by police until the station re-opened fully just after midnight. "Safety is our main priority and this decision was necessary in order to prevent further harm coming to passengers and staff within the station. "We understand this decision resulted in people being delayed in getting home, but it was essential to prevent a dangerous situation from escalating. "We will continue to scrutinise our decisions that night and will work with the train operating company and station management team to ensure that the crowd management plans at the station, in particular the queuing arrangements, is reviewed and lessons learnt. "Once again, we would like to thank the public for their understanding and patience following the Brighton Pride event."